Everyone will be feeling lucky with these free St. Patrick’s Day printables! Choose the green watercolor art print, St. Patrick’s Day coloring sheet, or both! No matter how much I try to purge or curb spending our house always seems to be crammed with stuff. We’re overflowing with kids toys, craft supplies I just can’t seem to let go, random purchases at the Target Dollar Spot, and heirloom pieces that I have no place to store. Our 1,800 square foot house is stuffed to the gills. Yet, sometimes I envy people who have the storage space to keep decorations and trinkets for each and every holiday. I know more than a few people who alway seem to have just enough decor out to feel festive all year long. So I try to find ways to be festive without maintaining a hoard of decorations for every holiday. If I buy something it has to be inexpensive, reusable year-round, or recyclable. And it absolutely hast to be easy to put together. If this house can’t get decorated in 30 minutes or less, it’s not likely going to happen (Christmas is the only exception to that rule). That’s why printables have become my primary choice for seasonal decorations. All I need to do is print it out and then put it up on our display ledge. Total win. 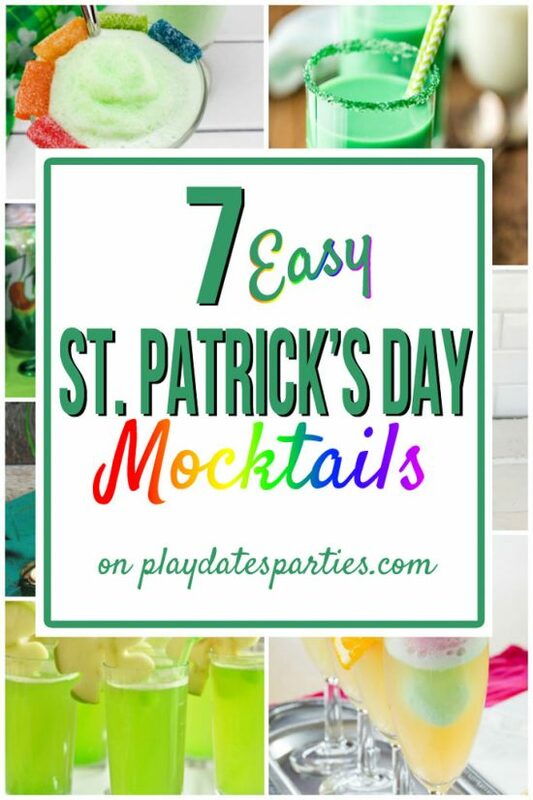 So, I thought it would be fun to create some free St. Patrick’s Day printables of my own…and then share them with you! First up is a different take on the watercolor trend, with this “Luck ‘o the Irish” print. I love the watercolor effect on the lettering and the clover, but the font is simple enough that it still fits my husband’s modern aesthetic. Just print it out, cut out along the border, put it in a frame and you’re done! Or, if you’re like me and want something even faster, stick it in a pretty clipboard. But free St. Patrick’s Day printables are more fun when the kids are involved, right? Which makes this St. Patrick’s Day coloring page so much fun! Print it out, let the kids do the decorating, and then put it up as holiday decor. Don’t you just love kid’s activities that double as decor? Confession: I had just as much fun coloring it in as my seven and four-year-old girls. Just call me a big kid. We are all still working on our coloring pages, but when they’re done I plan to put them up on our display ledge to decorate for St. Patrick’s Day as well. And when it’s time to change up decor for Easter, at least I know that I don’t have to worry about finding a place to stuff them until next year. Don’t forget to print your color prints in best-quality output! Ready to get decorating? All you have to do is fill out one of the subscription boxes on this page to get the password to the free printables library. There you can find BOTH of these free St. Patrick’s Day printables (and so much more). And after you’ve done that…grab your kids and have some fun getting the house decorated together! Do you battle a never-ending fight with ‘stuff overload’? Love the St. Pat’s coloring sheet! Visiting from Busy Monday. Oh, these are cute! It’s still too soon for me to think about St,. Patrick’s , but I know my daughter is going to love the coloring sheet. Thank you for sharing at The Really Crafty Link Party. Pinned! Very cute! Thanks for sharing with Party in Your PJs! These are such fun printables. Thank you for all the work you put in to provide these for everyone to enjoy St. Patricks day. These are adorable printables. My daughter is going to love them! Ohh so cute, love the watercolour!! I am with you on the decorating time too…argh! Even Christmas seems to get harder and harder each year. I always wished I could be one of those who decorated every holiday but I just can’t seem to get to it in time! This will put me ahead though!! Thanks for the printables! We do a St. Patty’s day get together with our neighbors. This would be great for the kids! These are so fun what a great idea! I love these printables, I can see that Luck o the Irish in a cute gold frame for sure!